Adult unisex half-zip jacket (for men and women). Contrasting cut and sewn inlaids. Waistband with drawstring and pulley. Normal fit. Specially designed for training. 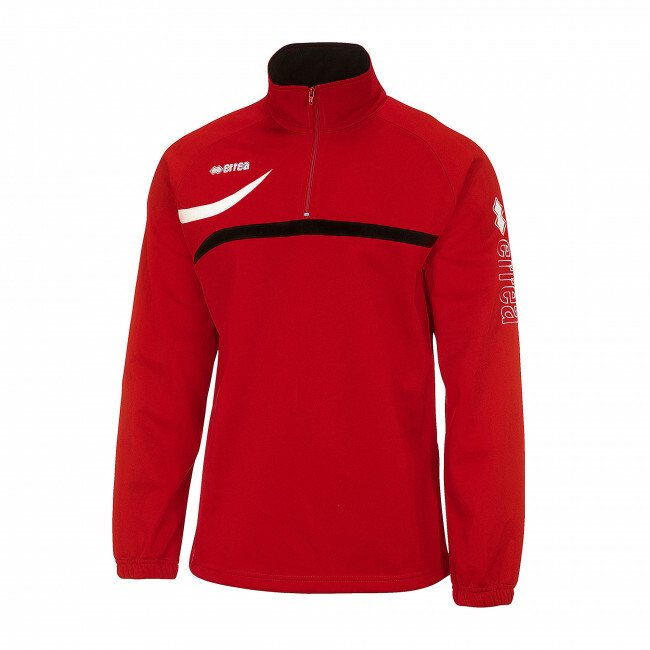 With its elegant and at the same time sporty look, Bristol is the ideal training shirt for both men and women. Made in a soft, comfort and slightly stretchable fabric, this shirt will be your companion in the most demanding training sessions, protecting you against cold and wicking sweat away from your skin. This jacket is lightweight and breathable, yet it will keep your muscles warm also thanks to the draw string at the bottom, that adjusts the jackets to your figure. The practical neck zipper will protect you from cold and wind in case of need. You can create you perfect training tracksuit by matching this jacket with the Nevis tracksuit pants or with the 3/4 length pants Linch by Erreà.